Be the first to hear about their new releases and deals. Download the Booksprout app and search for Stephanie Ayers today! creating twisted tales and fantastic realms one page at a time. 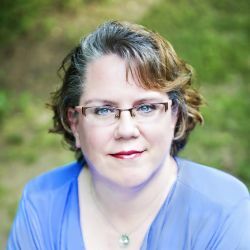 A published speculative fiction author with a knack for twisted tales, Stephanie Ayers is a coffee guzzling, word whispering, world building creative ninja and unicorn living in Ohio disguised as a human. She mothers her children, loves her husband, attends church, and avoids all things housework and zombies. When she isn't doing any of these things, she can be found stretching her creative wings and exploring flea markets all over southwest Ohio.